4 Brothers in CCC is something you should read. 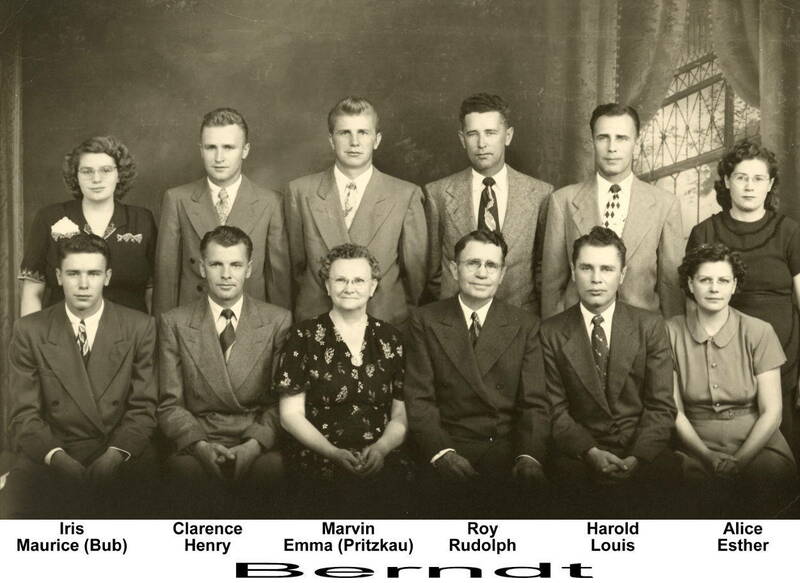 Rudolph and Emma Berndt from Avon, South Dakota had seven boys and three girls. Large families were pretty common in those days. What is interesting about this family is that four of the boys served in the Civilian Conservation Corps. We are gathering information on the "boys" and their information will be updated. In 1940 Marvin E. Berndt was in 2750, Fruitdale (Orman Dam), B-2. Louis J. Berndt was in company 2746, Alcester, SCS-3 in 1937. Harold Berndt was Assistant Leader in company 1789, Pactola, F-4 in 1934. In 1941 Clarence L. Berndt was in company 2765, Ft. Meade, SCS-6. We should also note that a first cousin, Earl Marvin "Pepper" Berndt was the Company Clerk in company 2746, Alcester, SCS-3 in 1937 and in 1939-41 he was Assistant Leader in company 792, Roubaix, F-6.